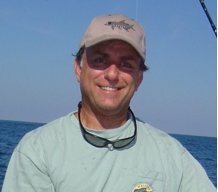 Discussion in 'Fishing Chatter = anything to do with fishing' started by Garzipan, Jan 9, 2019.
hey fellow anglers, anyone know where I can get free, or cheap, 5 gallon buckets in the Daytona/NSB area? If you don't care what was in them before, find any construction dumpster/new home building dumpster and there are usually plenty of 5 gallon buckets there. Between empty paint, drywall compound, etc, there are usually quite a few there. That is where I have gotten the ones I use for my fishing trip. Little elbow grease to clean them out and they are good to go. Otherwise if you want new ones, Home Depot, Lowes, etc, they have lots of them there. Usually under $4 for your basic empty bucket. I work at Winn-Dixie and we sometimes have people come in looking for 5 gallon buckets. If the deli/bakery have any empty ones, on the day you arrive, I'm sure they would give them to you. You might have to lick a bit of frosting out of them to clean them out, but....lol. Go to your local Chick-Fil-A and after ordering a meal, ask the person in charge if they have any empty pickle buckets available. They are green 5 gal buckets and smell like pickles but they work. I've gotten several from CFA over the years. I see free buckets on the side of the road every time I leave my house. The best bucket I ever had came from a Chinese restaurant. It was a Kikkoman soy sauce bucket. You should be able to salvage a bucket or two on the side of the road. I know you are looking for free and/or cheap buckets... but it is worthwhile looking into the buckets that have the rope handles. They are great on and off the boat. I've bought a few at Steve's Pickles at the Daytona flea market. $3 I think? I saw that Yeti is now selling 5 gallon buckets....... like 40 bucks....... for a bucket.......??? I know its expensive. It was given to me as a gift. You can actually stand on it to fish if your on the calm flats, stalking Reds. It will hold like 300 lbs. Back in CT there was a swimming pool supply and service company that used chlorine tablets that came in buckets. The buckets were about 4 gallons with a screw off lid. They work great! Just saw them at Lowe's for $ 3.25 brand new and clean. Home Depot had food grade 5gal for bucks last year. Don’t remember, but no too expensive. I am still using the buckets I bummed from a Chinese rake out place years ago. Sturdy, have lids and free.